The San Francisco Board of Supervisors voted unanimously Tuesday to subpoena a reluctant UC Berkeley structural engineering professor to testify early next year about his role in assessing the now sinking Millennium Tower’s foundation. Supervisor Aaron Peskin has long sought the testimony of Jack Moehle at hearings he has convened about the tower that is now sinking and leaning to the north and west. On Tuesday, with no discussion, the board gave him the power to summon Moehle to a hearing slated for next month. Moehle was hired by the engineers on the Millennium project in June 2004 to serve as a peer adviser on the project and later vouched for the foundation in documents submitted on the project. Peskin has stressed that at that time, Moehle was also a city peer adviser on the nearby 80 Natoma St. project. The Natoma project as a tower that had a similar foundation to the Millennium. Experts warned city officials it could sink dramatically and the Natoma project was ultimately scrapped. For his part, Moehle has told NBC Bay Area that he was surprised there was no geotechnical review of the Millennium project but has not responded to further requests for comment. 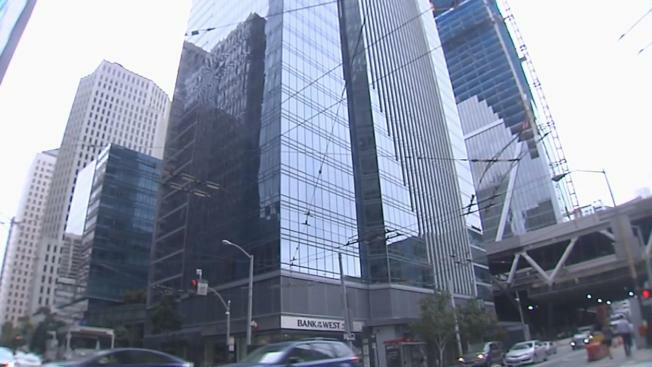 NBC Bay Area has reported that Hardip Pannu, Moehle’s colleague on the Millennium peer review, wrote a letter in 2006 in which he stressed that no one sought the peer review to account for the Transbay transit project slated to be built next door to the Millennium. It is that transit project that Millennium blames for destabilizing its foundation. Transbay has faulted the Millennium foundation for not being tied to bedrock. Moehle has apologized for not being able to attend earlier Millennium hearings and told Peskin that “certain contractual matters” had restrained him from appearing absent a subpoena. He did not elaborate. he had not able to attend at earlier hearings on the Millennium project. Peskin has struggled with what contract provisions related to his peer review role for the city that might have precluded Moehle from cooperating. Last week, Moehle told Peskin that he will testify if commanded to do so, but he will be unavailable for nearly all of next month as he will be attending a seismic conference in Chile. That gathering is set for Jan 9-13 and Peskin’s subpoena orders that Moehle appear on Jan. 12.